The IRS does take tax refunds if you owe money. 1. Can the IRS Hold Your Refund if You Didn't Pay Your Local Taxes Last Year? 2. Can I Pay Installments on Federal Income Taxes I Owe if I Can't Afford to Pay It All at Once? 3. Can a Bank Mortgage Company Take Your Tax Refund? Not paying your taxes is usually more trouble than it is worth. 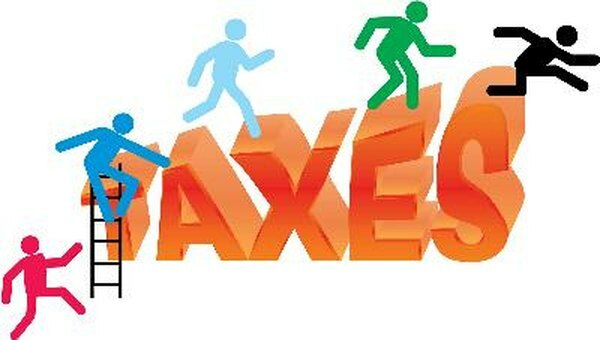 Back taxes is a slang term for federal, state or local taxes you owe from prior years. The IRS has much more power to collect a debt from you than a normal debt collector does. Even if you file for bankruptcy, only under limited circumstances can you include tax debt. The IRS takes the money you owe for taxes from prior years out of your refund. This includes money you owe for federal taxes, and in most cases, state taxes or local taxes. The good news is the money the IRS takes reduces your tax debt. When the IRS takes money or things of value from you by force to satisfy a tax debt, this is called a tax levy. The IRS does levy your tax refund if you owe taxes from prior years. Your tax refund is not the only thing the IRS can levy. To satisfy the tax debt, the IRS can seize your house, cars, retirement accounts, dividends and bank accounts or garnish your wages. Setting up an installment agreement helps you stay in good standing with the IRS even if you cannot pay the full amount of the back taxes right away. Even if you have an installment agreement, the IRS will continue to take your refunds to pay toward your debt until you have paid the debt in full. It is a good idea to set up an installment agreement and not wait for the IRS to take taxes owed from prior years out of your refund because with an installment agreement, you will pay less in penalties and fees and will pay off your debt sooner. You can also pay your back taxes to the IRS in full by check, credit card or electronic funds transfer. You may find it more beneficial to pay your taxes with a credit card instead of setting up an installment agreement because in some cases you will pay less in interest than you would have in IRS penalties and fees. It costs $52 to $105 to set up the installment agreement depending on factors including your financial situation and whether you pay by payroll deduction, EFT or another method. Apply for an installment agreement online at the IRS website or by phone at the telephone number on your bill or notice. Apply by mail using Form 9465-FS, Installment Agreement Request, if you owe less than $50,000 or Form 433-F, Collection Information Statement if you owe more than $50,000. Can I Work Out a Payment Plan for a Tax Lien? If I Owe More Taxes After an IRS Audit, Do I Have to Pay Interest on It?